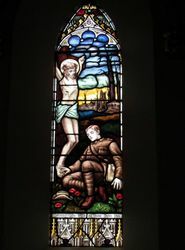 The memorial chapel was erected in memory of the sailors and soldiers of the parish who served in World War One. The foundation stone was laid, in memory of those who served, by Lord Stradbroke on the 25th September 1921. 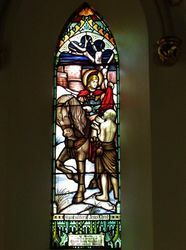 The chapel was dedicated on the 21st October 1923. The chapel contains stained glass windows by William Montgomery. 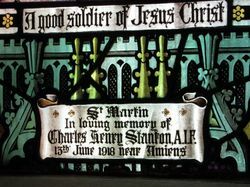 His Excellency the Governor (the Earl of Stradbroke) visited St Georges Church, Malvern, yesterday afternoon, and performed the ceremony of laying the foundation stone of a chapel which is to be erected at a cost of about £1,000 in memory of the sailors and soldiers of the parish who served in the war. 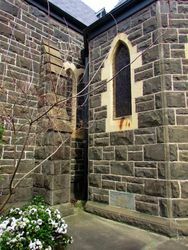 The chapel will be an extension of the church, and will be of Gothic design, in harmony with the existing structure which is regarded as an excellent example of the parish Gothic architecture of England. There was a large gathering of church members and friends and the service was conducted by the vicar (the Rev J Tyssen). Lord Stradbroke who was presented with a silver trowel by the architects (Messrs Henderson, Alsop, and Martin, of Collins street) said that as a resident of Malvern he was particularly glad to perform the ceremony. 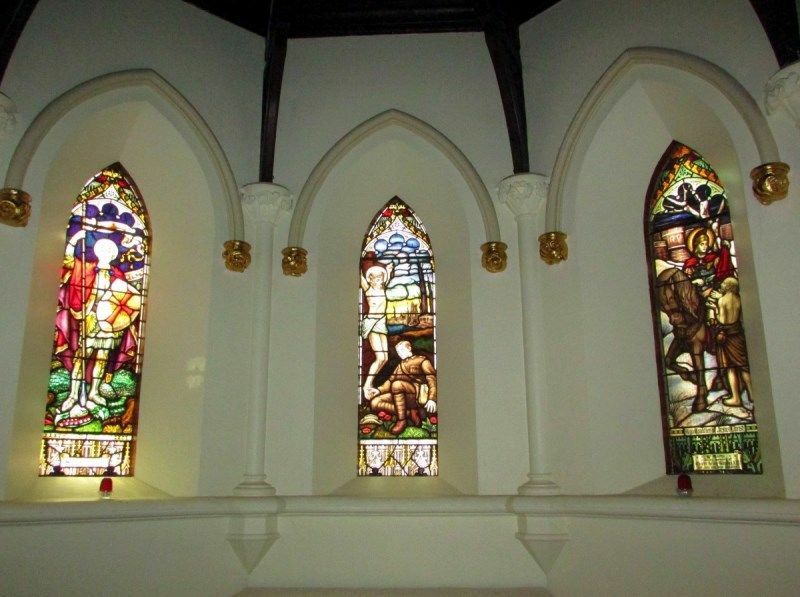 He was also pleased to hear that the chapel was to be used for daily service. The church sometimes lost opportunities by not throwing open its doors to the public. Argus (Melbourne), Monday 26 September 1921. 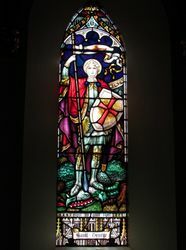 At St. George's Church of England Malvern, last Sunday afternoon Archbishop Lees dedicated a sailor and soldiers' memorial chapel in memory of the men and women church workers who had served in the war. The tablet, which is of brass, is situated on the north side of the chancel. There was a crowded congregation. Included among those who attended were Lady Charlotte Rous, accompanied by Miss Currie. The Archbishop based his remarks on the text, "We passed through fire, and through water," which he applied to the ordeal of war and said that God had brought us through triumphantly. Prahran Telegraph (Vic), 26 October 1923.